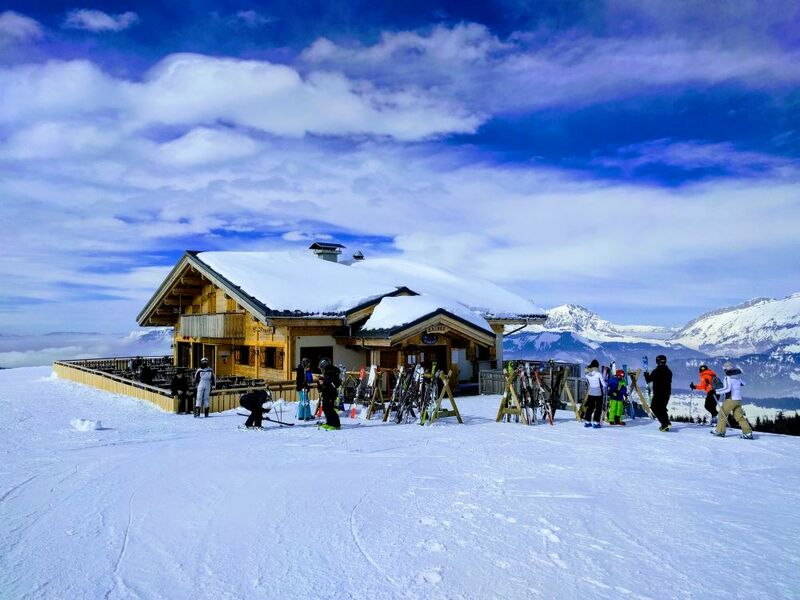 Les Saises is a resort in the Espace Diamant ski area located in the Northern Alps. It offers plenty of variety being linked to Praz sur Arly, Flumet, Notre Dame de Bellecombe, Crest-Voland and Hauteluce. Being one of the Alp’s lesser known resorts it is refreshingly quiet, even just peak times and lift passes are considerably cheaper than some of it’s more ‘glamorous’ neighbors. 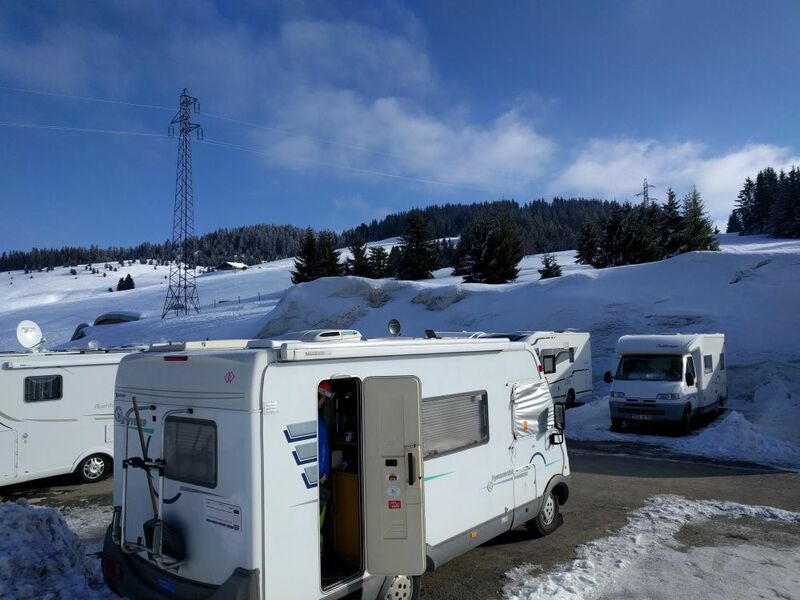 The large aire is positioned right next to the Pistes at one end of the resort, and just a short walk into town for supplies. It is serviced by a Flot Bleu at one end, where there is also some heated public toilets. There is an automated parking ticket machine at the entrance, costing just less than 10euro per night last time we were there.